'68 - Ready Steady Gone! 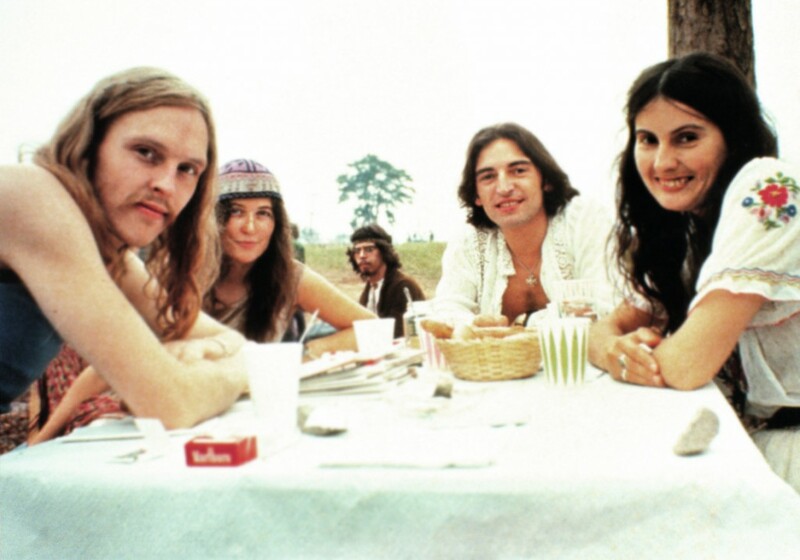 After a year of flower power, love-ins and psychedelic happenings, 1968 had a bit more of a down-to-earth feel about it with a slight revival of rock ‘n roll and blues music. Locally, bands playing the standard Wilson Pickett/Otis Redding type material were regarded as being a bit behind the times. A lot of local bands were now playing covers of Stax songs by artists such as William Bell and Sam & Dave. The Club A’Gogo, which had changed management some time earlier was now on it’s last legs. 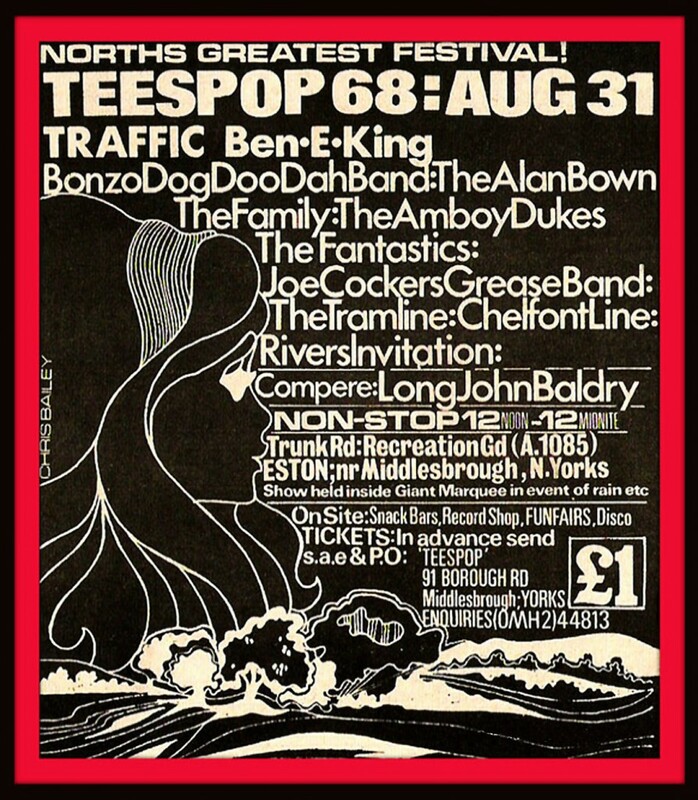 Popular north east venues in 1968 were the Rex Hotel, Whitley Bay, the Mayfair Ballroom in Newcastle and a bit further afield the Saturday dances at Haggerston Castle, Northumberland. ‘Everything I Am’ by Plastic Penny featuring vocalist Brian Keith enters the UK charts. The single was recorded in late 1967 by Keith who at the time was performing in a cabaret band called Chris Lamb and the Originals. He had recorded ‘Everything I Am” as a solo singer with some help from some of the musicians from the Originals, including future Plastic Penny keyboard player, Paul Raymond. Mick Grabham and drummer Nigel Olsson, both from Sunderland are recruited by Keith and become permanent member of Plastic Penny. George Harrison spends a week in Bombay recording Indian music for the movie “Wonderwall”. David Gilmour joins the Pink Floyd. His addition will enable the group to “explore new instruments and add further experimental dimensions”. 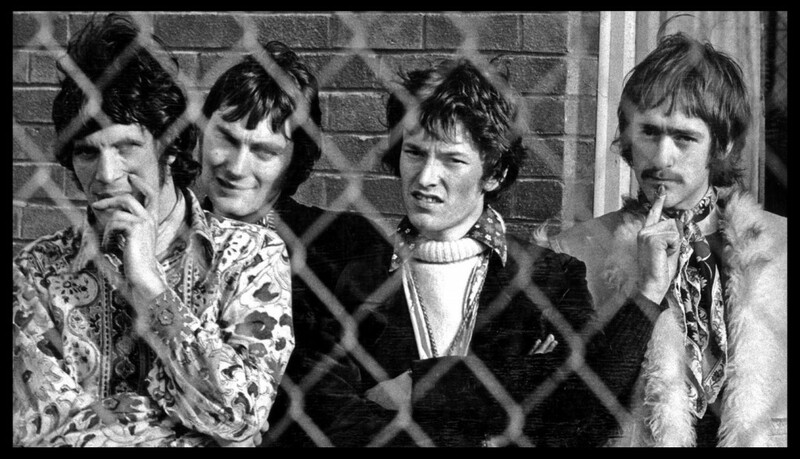 The five-man Floyd line-up play just five gigs before the other members decide that Syd Barrett should be excused from live appearances to concentrate on song-writing. Jimi Hendrix spends a night in a Swedish jail cell after wrecking a hotel room following an argument with Noel Redding. The Small Faces and The Who are thrown off an aircraft for rowdy behaviour while preparing to fly between gigs on an Australian tour. 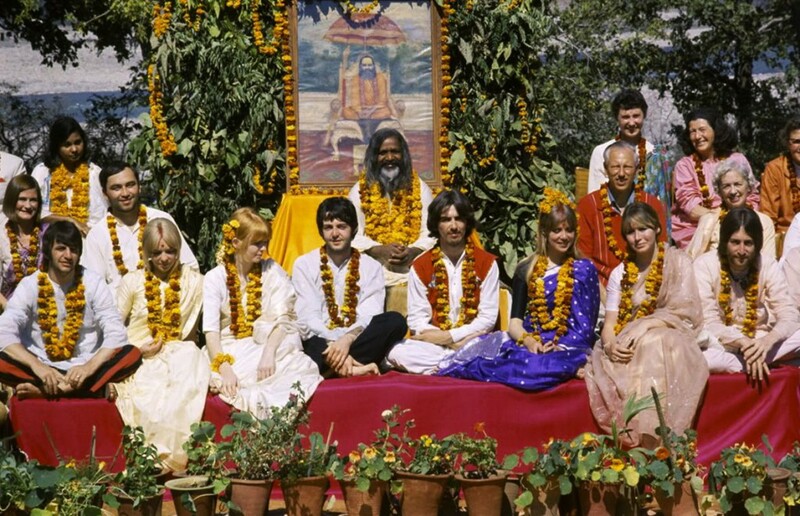 The Beatles visit the Maharishi’s meditation camp at Rishikesh in India, accompanied by Donovan, Mike Love of The Beach Boys and other friends. Before they leave for India, The Beatles are filmed at Abbey Road while they record the track “Hey Bulldog”. David Gilmour joins Pink Floyd, replacing founder member Syd Barrett who had checked himself into a psychiatric hospital. 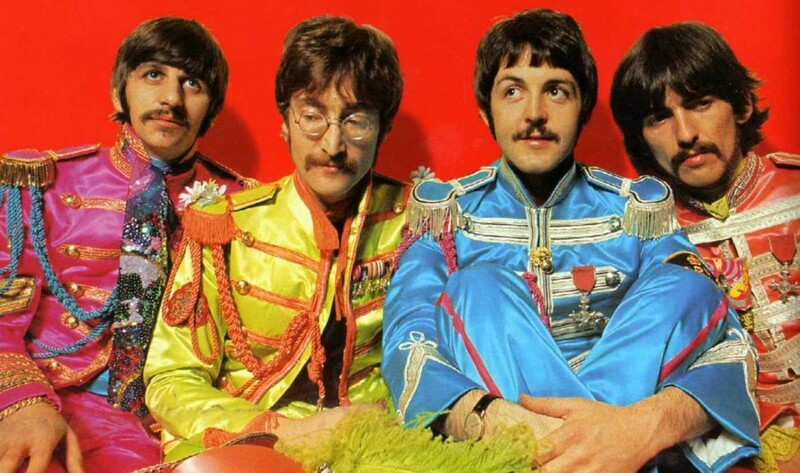 “Sgt Pepper’s Lonely Hearts Club Band” wins four Grammy awards, including best album of 1967 and best album sleeve. “She’s Leaving Home” by the Beatles is named best song of 1967 at the Ivor Novello Awards. “Whiter Shade Of Pale” (Procol Harum) is the most successful UK song overseas, while “Grocer Jack” (Keith West) is novelty song of the year. The Yardbirds record their live album ‘Live Yardbirds’ at the Anderson Theatre, New York. The Hollies start work on a new studio album but the sessions grind to a halt with most of the tracks left unused or unfinished, including Graham Nash’s “Marrakesh Express” which is later a hit for Crosby, Stills and Nash. The Herd (with Peter Frampton) sign up to appear in the feature film “Otley” which stars Tom Courtney. The UK comes second in the 13th Eurovision Song Contest held at the Royal Albert Hall, London on 6th April. UK’s entry is ‘Congratulations’ sung by Cliff Richard. Spain wins with ‘La, La, La’ sung by Massiel. Syd Barrett is asked to leave Pink Floyd as a result of his ongoing (and worsening) drug and mental problems. Barrett heads back to his mother’s home in Cambridge while the group continue as a four piece. Bassist Roger Waters becomes Floyd’s main song-writer. Meanwhile, the group make a promo film for their latest single ‘It Would Be So Nice’. John Lennon and George Harrison finally leave Rishikesh. Ringo and Paul left earlier. The Speakeasy Club in London is destroyed in a fire. 4th May – Mary Hopkins performs on the British TV show Opportunity Knocks. She catches the attention of model Twiggy, who recommends her to Paul McCartney. Paul McCartney subsequently signed Mary Hopkins to the Apple label. 14th May – At a press conference, John Lennon and Paul McCartney announce the Beatles’ new business concept, Apple Corps.Ltd., an entertainment company that included a recording studio, a record label and a clothing store. Brian Jones, guitarist with the Rolling Stones was arrested a second time on 21st May for possession of cannabis, which he said had been left by previous tenants of the flat. He was facing a long jail sentence if found guilty owing to his probation. Stones’ bassist Bill Wyman commented, “The fact that the police had secured a warrant with no evidence showed the arrest was part of a carefully orchestrated plan. Brian and the Stones were being targeted in an effort to deter the public from taking drugs. The Small Faces release their new album “Ogden’s Nut Gone Flake” in circular packaging. Dave Mason re-joins Traffic. 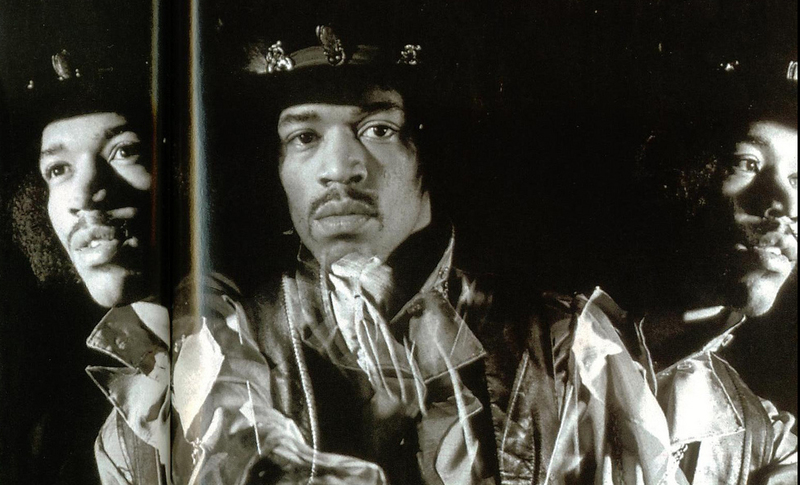 During his time away from the group he has produced the debut album by Family (the startling ‘Music In a Doll’s House’), released a solo single and played on various sessions (including with Jimi Hendrix). Plastic Penny, which includes north east musicians Nigel Olsson (drums) and Mick Grabham (guitar) part company with lead singer Brian Keith. The Beatles begin recording ‘The White Album’ on 30th May. Sessions would continue until the middle of October 1968. The Nice burn a representation of the American flag during a performance of their hit single “America” at the Royal Albert Hall. They are handed a lifetime ban from the venue. Cream appear on the “Glen Campbell Show” for U.S TV. 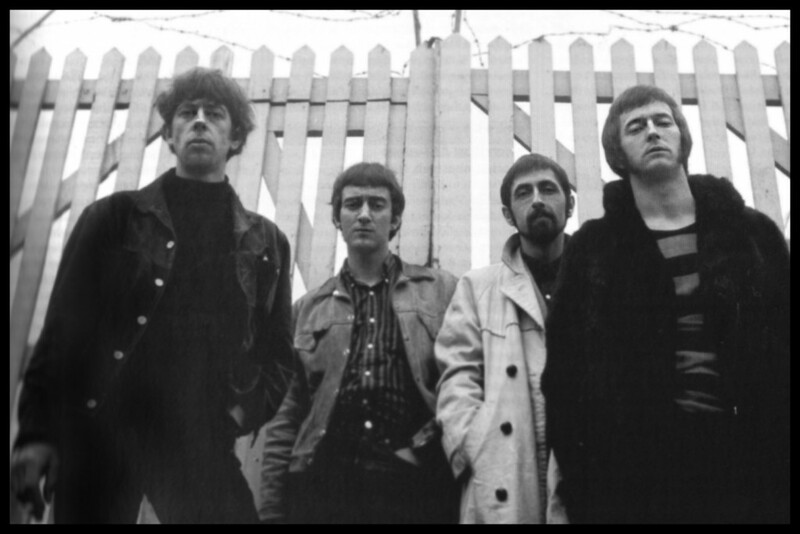 On 14th June Manfred Mann appear on the first edition of the BBC2 programme ‘Colour me pop’. 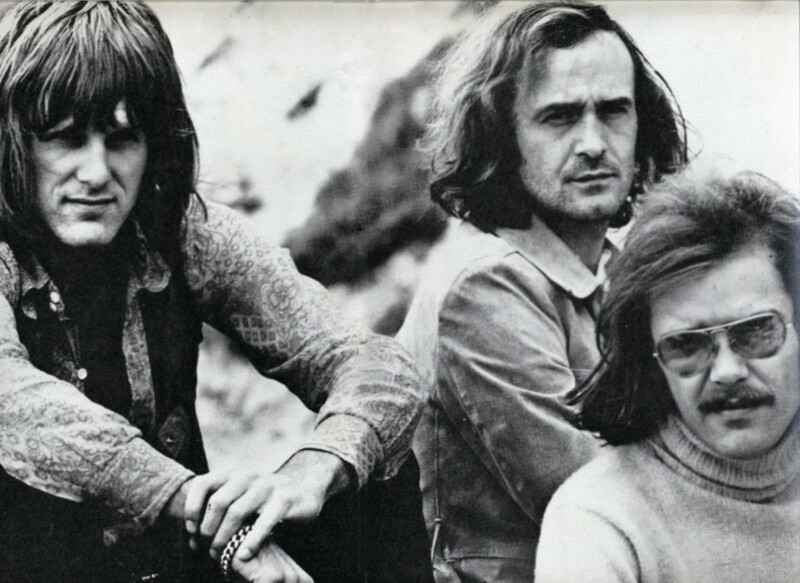 Giles, Giles and Fripp recruit keyboards/sax player Ian McDonald and ex-Fairport Convention singer Judy Dyble. Pete Sinfield arrives as lyricist but Dyble departs within a few weeks. The Who’s Pete Townsend becomes a follower of Meher Baba, an Indian Perfect Spiritual Master. This profoundly affects his future songwriting. After the completion of the ‘Wheels Of Fire’ album members of US group ‘The Band’ decide they’ve had enough and want to go their separate ways. They announce they will split later in the year. The Yardbirds split up. Jimmy Page attempts to form a ‘New Yardbirds’ to fulfil existing tour commitments, while Keith Relf and Jim McCarty launch themselves as a ‘Folksy, advanced pop’ duo under the name of ‘Together’. Bassist Danny Mc Culloch and guitarist Vic Briggs quit The Animals. Eric Burdon names Andy Summers as replacement guitarist. 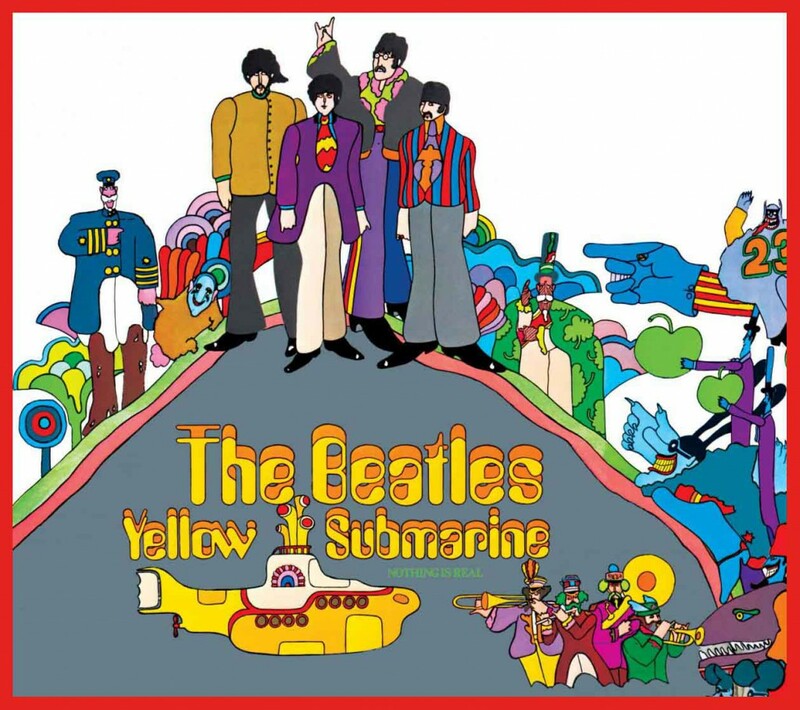 The Beatles’ “Yellow Submarine” cartoon movie is premiered in London. More controversy for The Nice. Their single “America” is promoted by a poster showing the group members with small children on their knees, and superimposed on the children are the faces of the late President John F Kennedy, Senator Robert Kennedy and Dr Martin Luther King. The group instruct their Record Company, Immediate, to withdraw the poster after stores refuse to stock the record. Julie Driscoll & Brian Auger’s UK hit ‘This Wheel’s On Fire’ stalls at 102 in the US. David Bowie forms ‘Feathers’, a music and mime group. They perform at Middle Earth and other clubs but do not record. The Middle Earth club in London closes, but concerts continue to be promoted under the Middle Earth banner at the Roundhouse in Chalk Farm, London. The Beatles officially launch their Apple label. Apple was to serve as the new outlet for their own recordings as well as the music of an eclectic roster of artists who were all personally brought to the label by The Beatles (either individually or collectively). John McVie marries Christine Perfect. 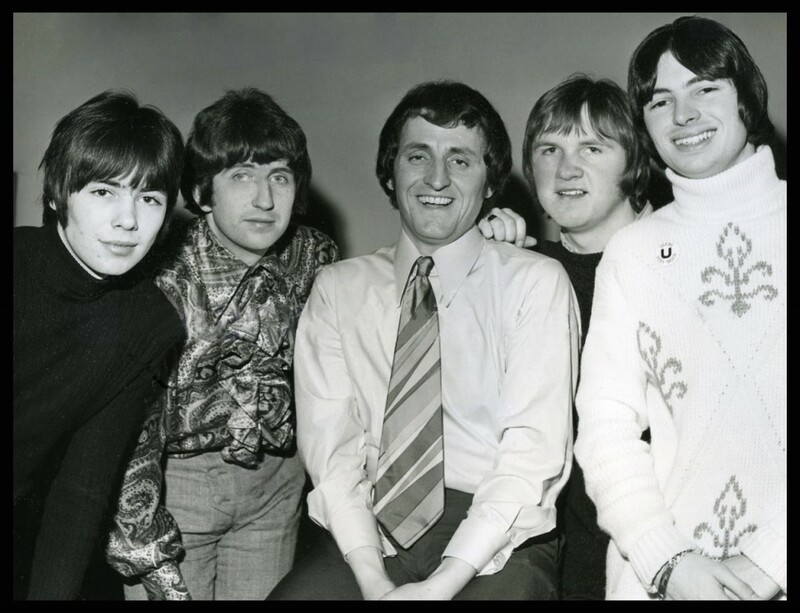 Much to the disgust of Graham Nash, The Hollies play a season in cabaret, wearing matching white suits and performing material such as ‘Puff (The Magic Dragon)’ and ‘Dang Me’. Chris Squire and Jon Anderson form Yes. Peter Banks quits Neat Change to join Yes. Ex-Winston’s Fumbs organist Tony Kaye and drummer Bill Bruford complete the original line-up. The band perform fro the first time at a summer camp. Spooky Tooth begin a US Tour (15th) that continues until late September. On 7th September Led Zeppelin performs for the first time. They are billed as the New Yardbirds (Jimmy Page’s previous band was the Yardbirds who had split up in July). Davy O’ List leaves The Nice, officially because of ‘pressure of work’, but in reality because of his unreliability and unpredictable behaviour (legend has it that O’List was ‘spiked’ by David Crosby in early ’68 during The Nice’s first U.S tour, and he was never the same again). Steve Howe, currently with Bodast, has tentative rehearsals with the remaining members but the results are unsatisfactory. Newcastle guitarist, Malcolm Langstaffe (formerly with the north east band ‘The Kylastrons’ performs O’List’s intended guitar parts on the second Nice album “Ars Longa Vita Brevis”. Langstaffe is briefly considered as a replacement for O’List but instead the group remains a trio. The Who begin recording ‘Tommy’, a rock opera that tells the story about a deaf, dumb and blind boy. The New Yardbirds make their live debut and soon change their name to Led Zeppelin. 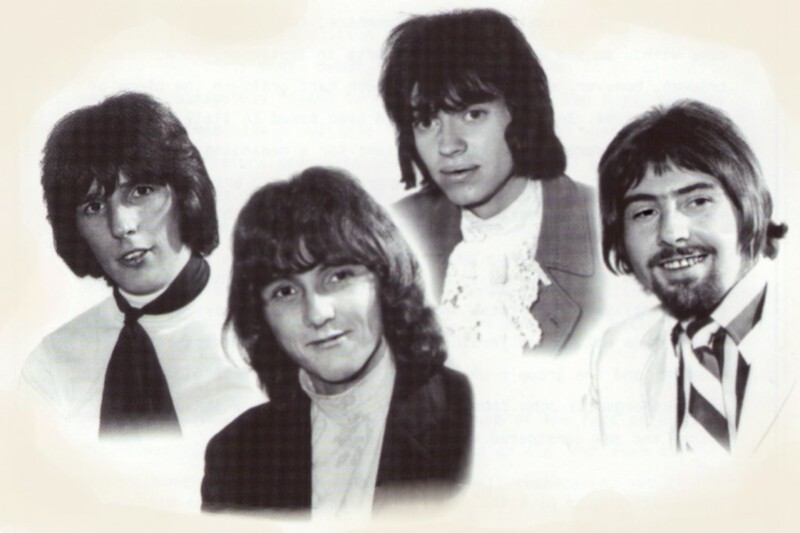 Eddie Hardin and Pete York leave the Spencer Davis Group and are replaced by Dee Murray and Dave Hynes of The Mirage, who promptly split up. Decca Records continue their refusal to release The Rolling Stones’ new album ‘Beggars Banquet’ with it’s proposed cover design of a graffiti covered toilet wall. Reports suggest that The Beatles have booked the Royal Albert Hall for a ‘comeback’ concert in December. The concert doesn’t take place. Dave Mason quits Traffic for the second time. The Small Faces are banned from Bristol’s Colston Hall after they are accused of inciting the audience to riot at their concert at the venue. On 8th November John Lennon and his wife Cynthia are divorced. Cream disband after playing 2 farewell concerts at The Royal Albert Hall, where they are supported by Yes and Taste (26th). The members explain that they have taken their music as far as they could. Chas Chandler sells his managerial interest in the Jimi Hendrix Experience. Mike Jeffery is now sole manager of the group. The Beatles ‘White Album’ is released. 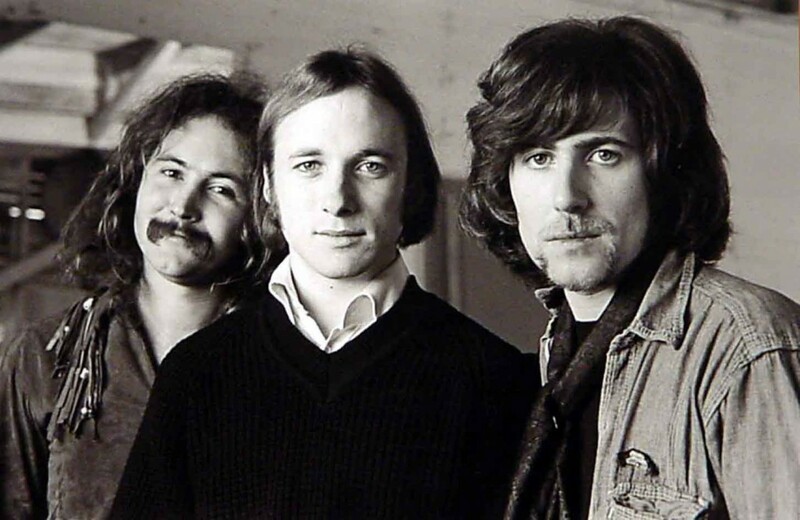 Graham Nash quits The Hollies to form Crosby, Stills and Nash. Steve Winwood quits Traffic with the intention of beginning a solo career. Guitarist Mick Abrahams quits Jethro Tull. Tony Iommi (of Birmingham group Earth, later known as Black Sabbath) appears with the group at the taping of “Rock ‘n’ Roll Circus”, miming to a previously recorded track. Davy O’List also temporarily fills the gap. Skip Bifferty split up. Several group members form Arc in 1970. “We can’t carry on”, says vocalist Graham Bell. He attempts a solo career before joining Every Which Way.